A chessboard has 64 squares. If we are going to place 1 cent in the first square, 2 cents in the second square, 4 cents in the third square, and so on, how much money do we need to fill all the 64 squares? 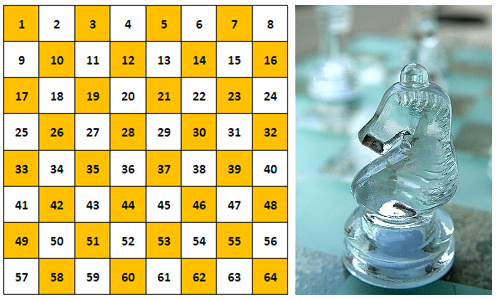 From the pattern above, it is clear that the amount of money placed in each square is twice than that of the amount placed in the preceding square. 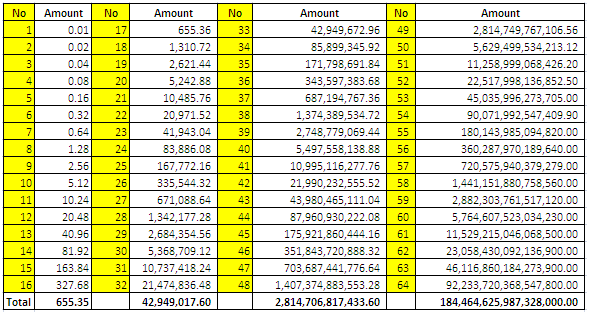 If we are going to number the squares from 1 through 64, then the amount of money needed to be placed in each square is shown in the table below.